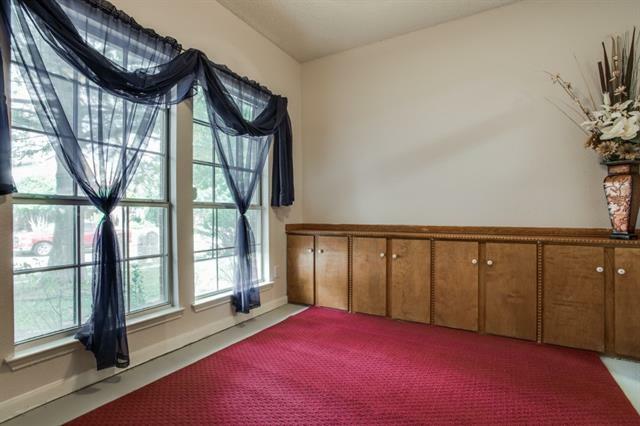 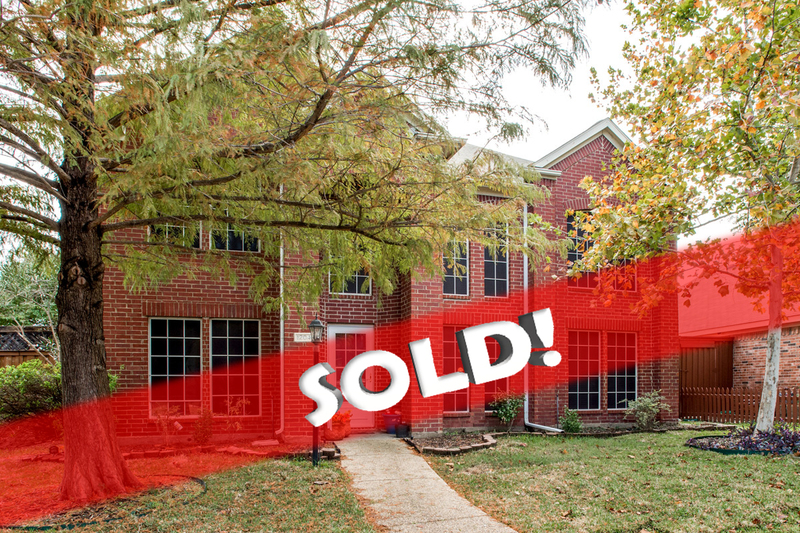 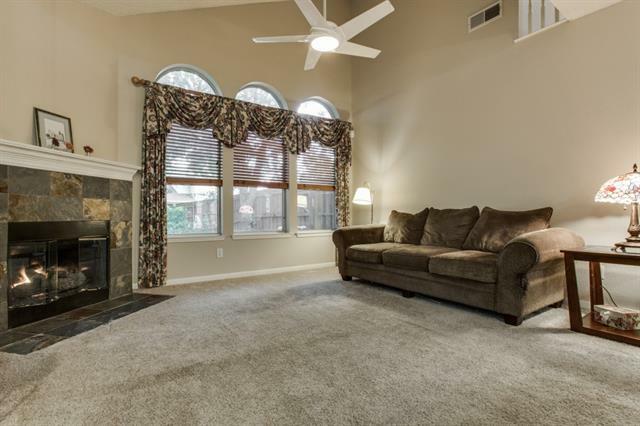 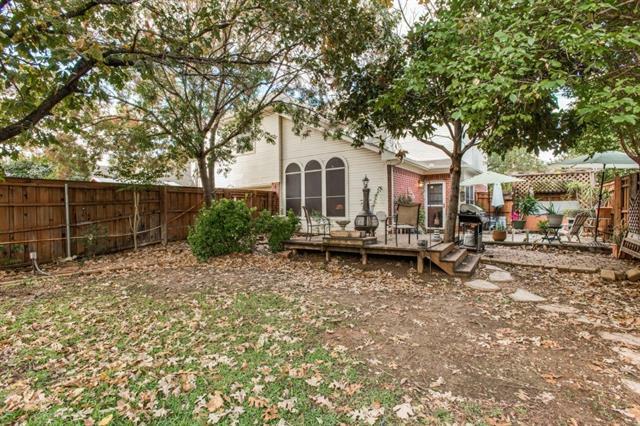 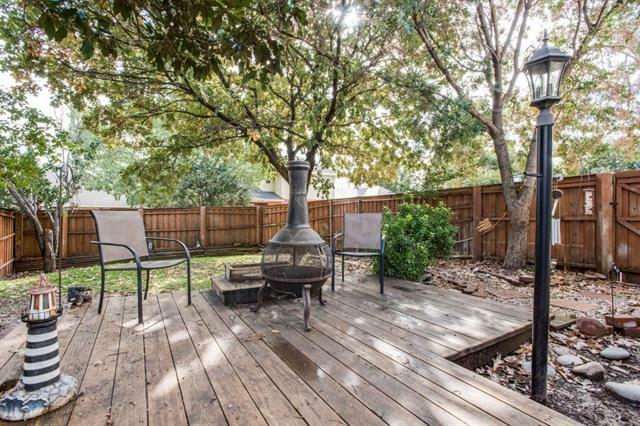 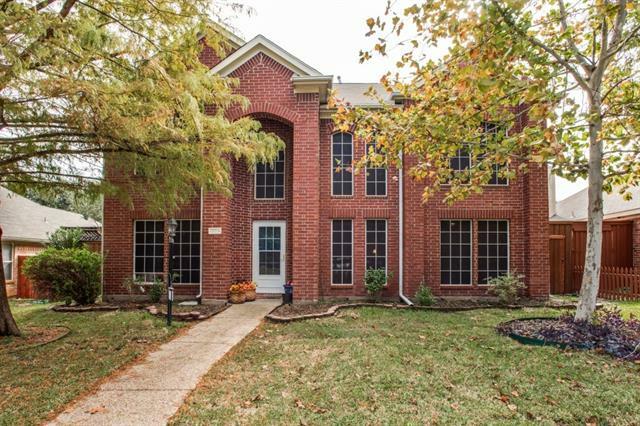 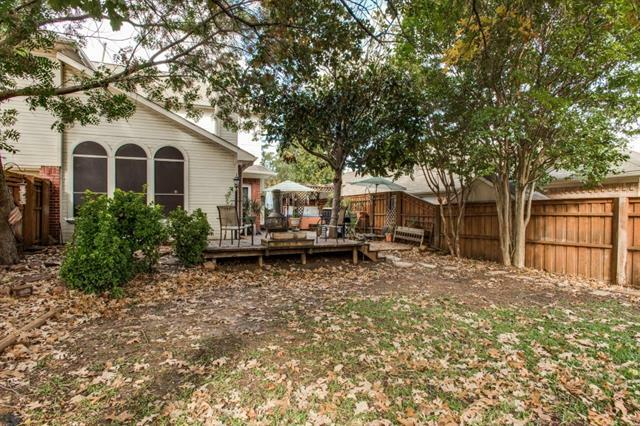 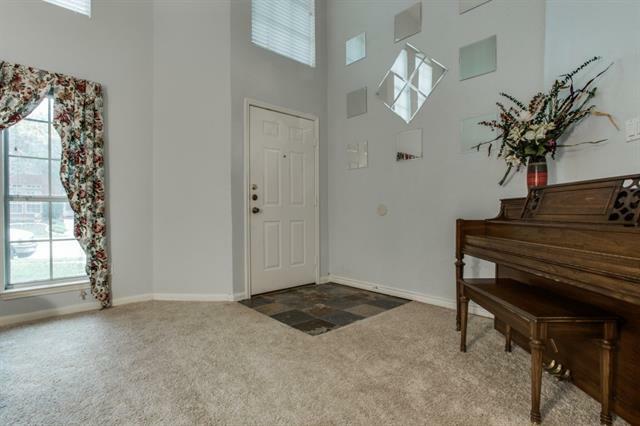 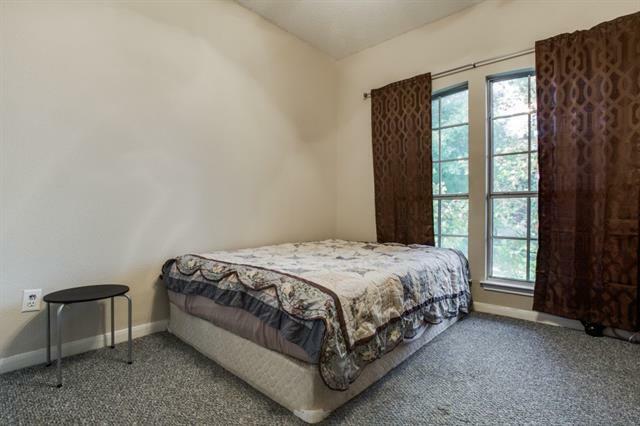 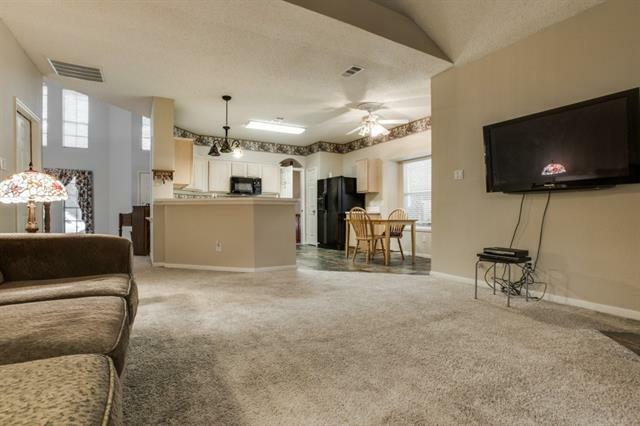 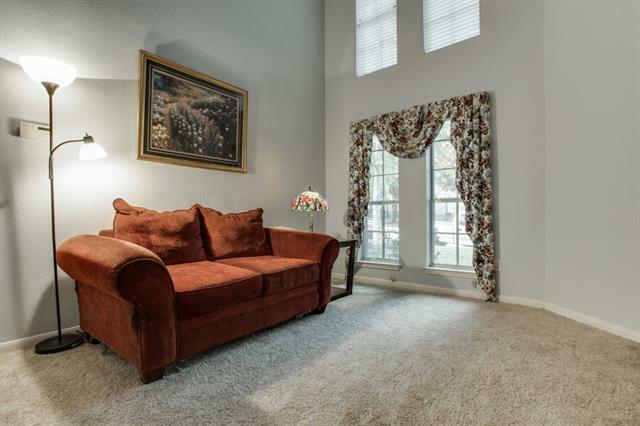 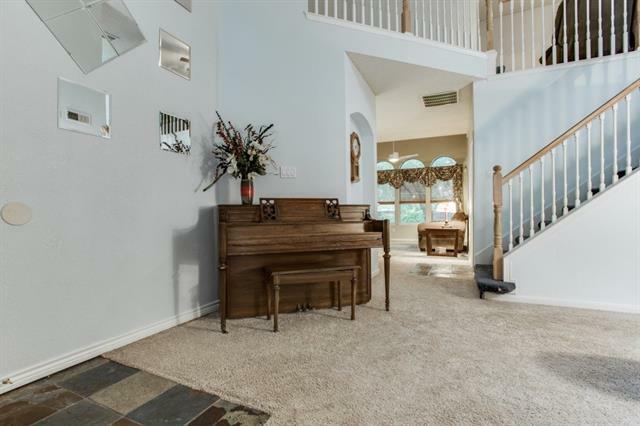 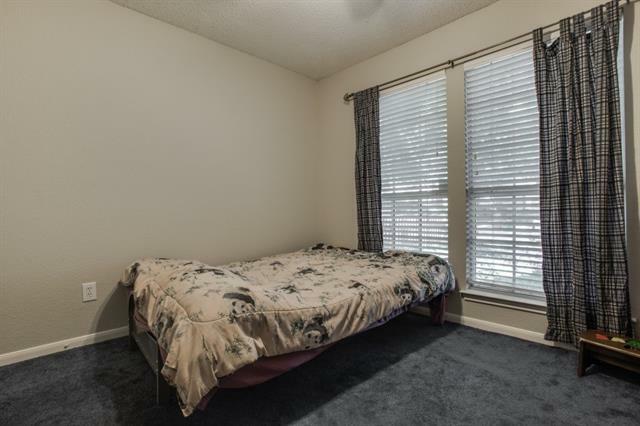 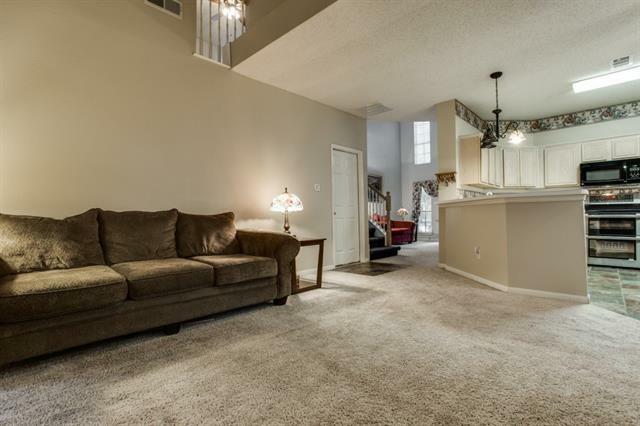 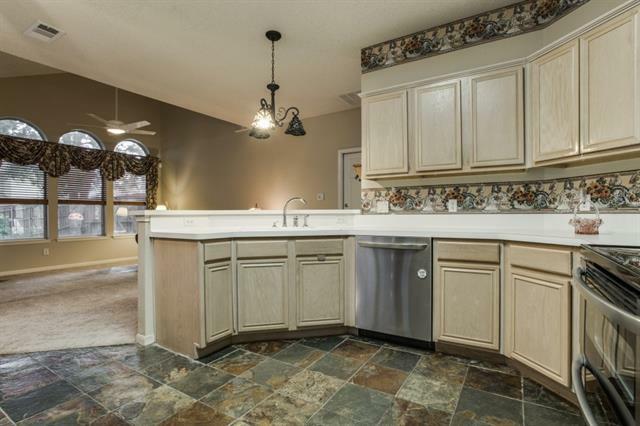 Just to the side of the 2 story entry to this brick Lewisville home is the formal living area. 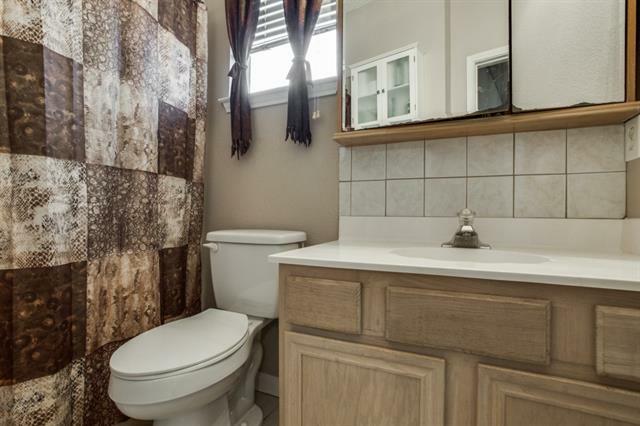 The Down stairs guest suite with bath is excellent for the extended family. 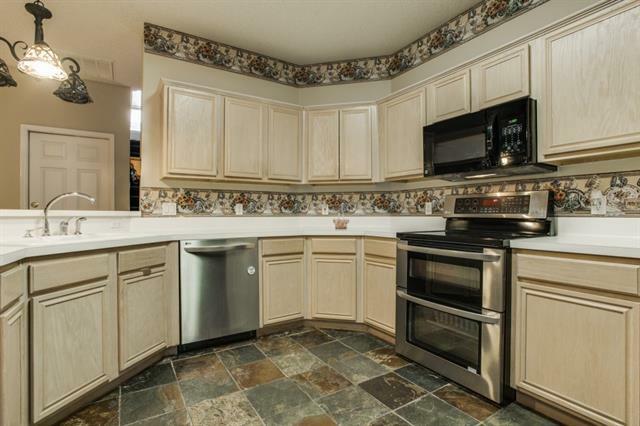 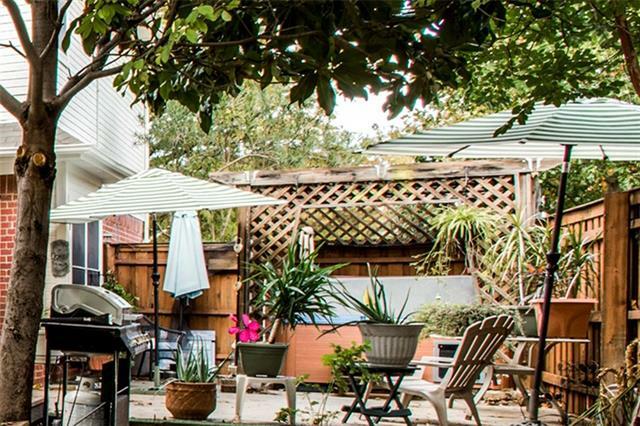 Updated appliances, slate floors, and many cabinets help define this open kitchen. 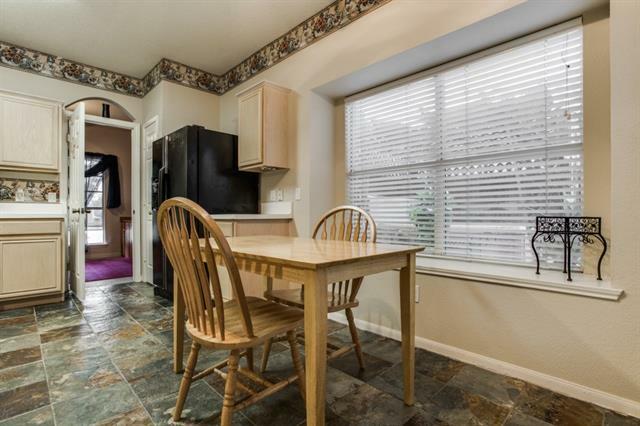 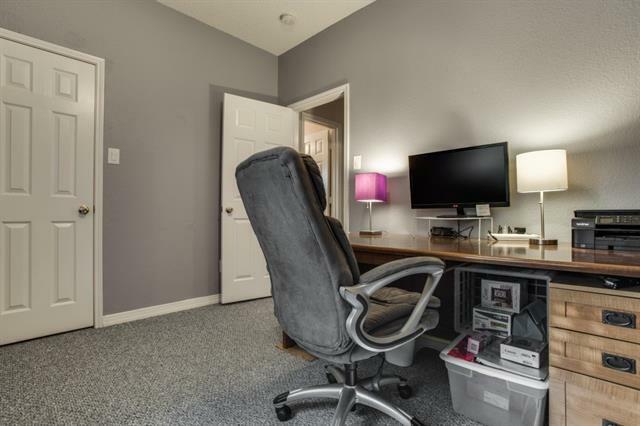 The study off the kitchen with built-ins could also be used for a formal dining room. 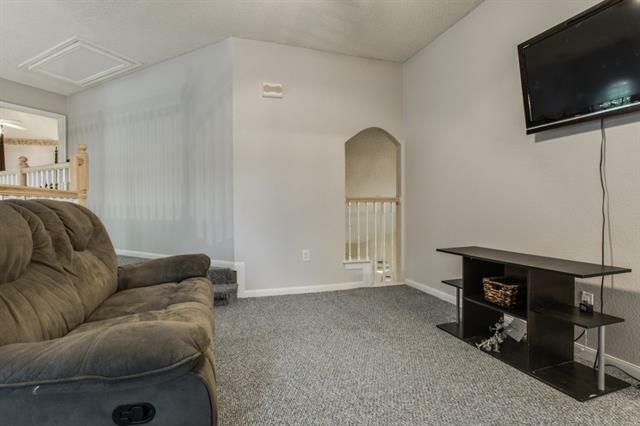 Family room looks out on the extended deck and spa. 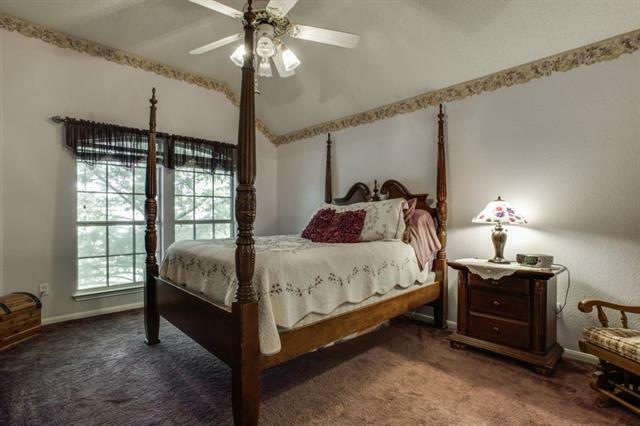 Upstairs are three bedrooms and a versatile loft area. 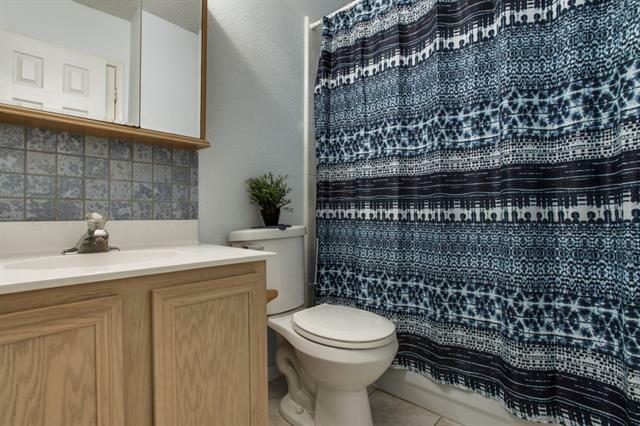 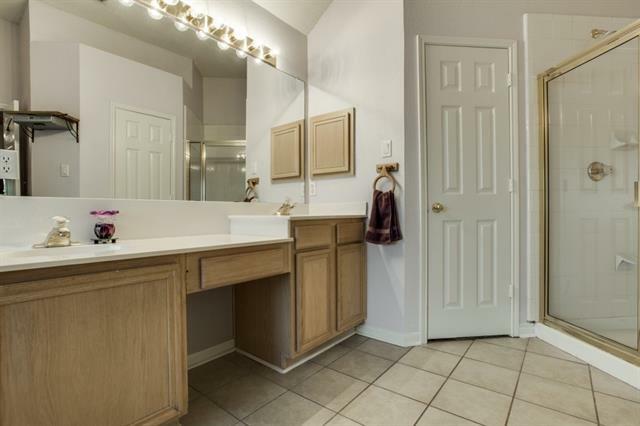 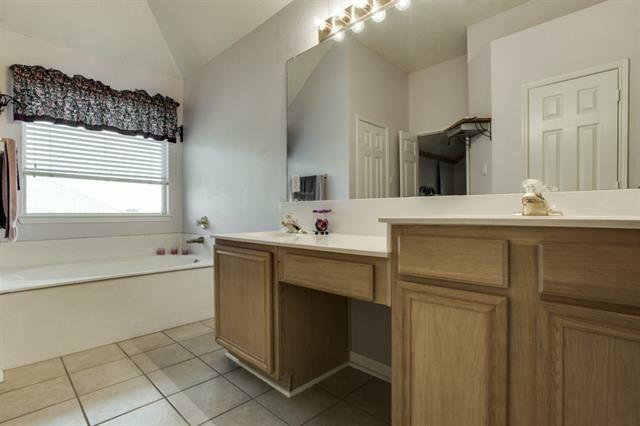 The step-up master area with master bath features a garden tub and separate shower.